No two people are exactly alike in their body problems and causes. The only thing that they may share is their feeling of pain and limited range of motion in their body. 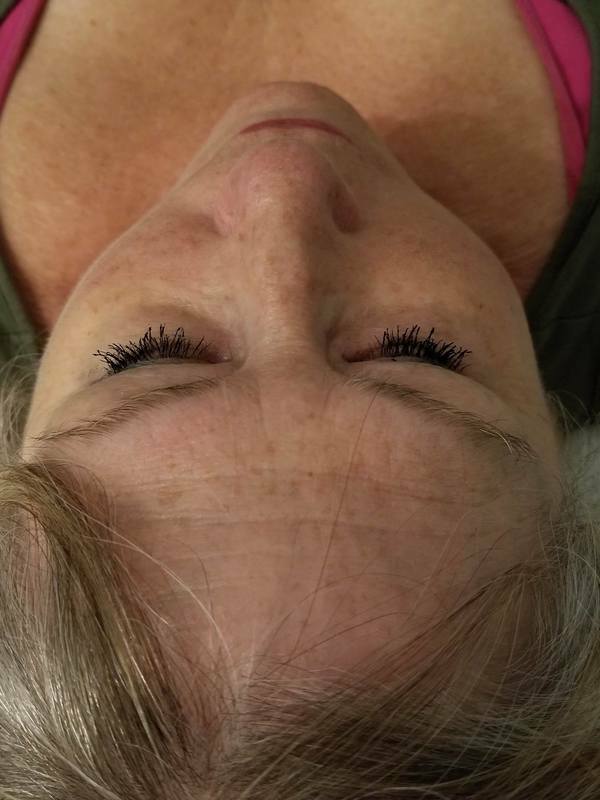 Here are samples of actual Myofascial Release sessions so that you may understand what can happen when the body releases the fascia and reverts back to health almost instantly. Client complained that her right TMJ is 'out of socket'. It protrudes out, it goes off hinge when chewing and makes a clicking noise. A noticeable swollen 'mound' can be seen and felt near right TMJ area. Here doctor recommended that she get Craniosacral Therapy done to help resolve the area. The first session I did myofascial release externally and intraoral, (inside the mouth). She reported pain was much less. Here is picture taken at the 2nd session. 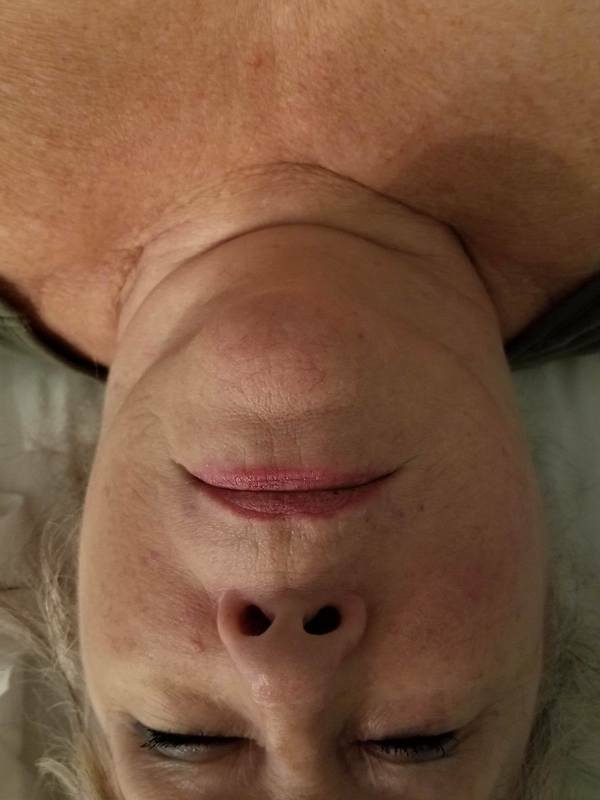 Compare the right side of face to the left side of face and neck. Notice how her right TML area and jowl line , near the chin & side of jaw is much more slender, slim, and tight. No more bloating, swelling, or puffiness. She noticed a decrease in the swelling and absence of pain after today's myofascial release session. This person had been a victim of an automobile hit and run as he was in his car waiting at a red light. His neck and shoulders had been radiating pain before the accident, and after the accident it was even greater. The pain was so great that he would need to ice his neck during the day on a daily basis to lower its painfulness. 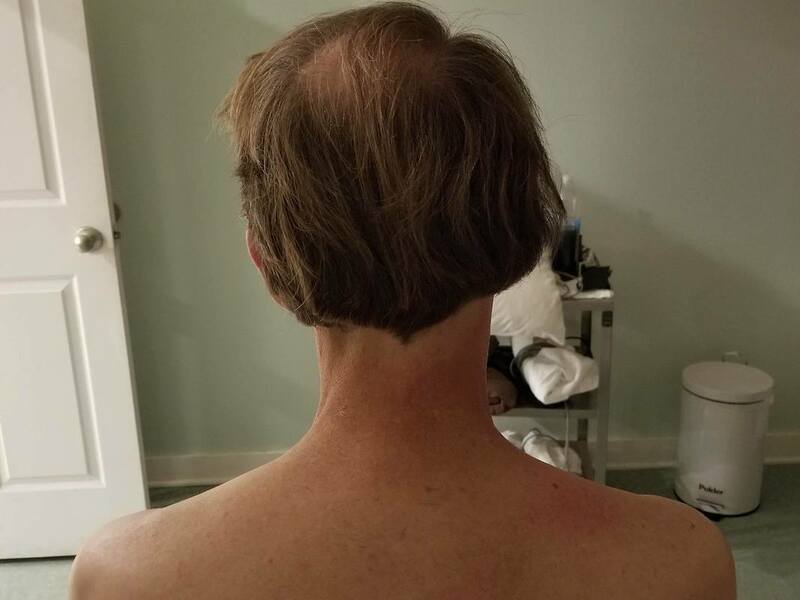 The first picture was taken after doing MFR on his right side of neck & head. The neck usually lengthens back to it's beautiful, original height after myofascial release. Notice how the left side is twisted and has folds in the neck, even causing the head to tilt toward his left side. It's also shortened on the left side. This shows the true power of Myofascial Release and what it can do to help correct the body posture. Mom made the appointment because she had many concerns. She was given my phone number from another parent who had brought her young baby to me and has since referred about 6 other babies as well. Mom showed me the discrepancy with the right and left side of baby's torso. She pointed out how the left side was more rounded outward, much more so than the right side. She said the baby never sleeps for very long- and he is always fussy. 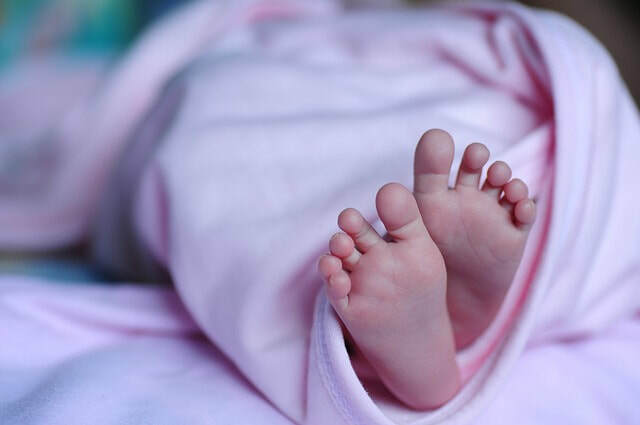 I did myofascial release on the baby's left side, head, back, legs and I also noticed the inner thighs had knots as well, which I helped with MFR here. After I was finished, we both saw how the left side was no longer swollen and was exactly similar in shape to the right side, as it should be. As we spoke and discussed our findings, the Mom remarked how 'this was the longest time the baby has ever been so calm and without crying'. It was quite a long time that we were standing around and observing his little body and he was as happy as ever- not once fussy at all. She put his diaper back on and then commented that usually the diaper tape would sit at an uneven level compared to the right side- and now, after the myofascial release, the diaper tape is equal at level with the right side tape, meaning now his hips were aligned with each other . As she placed him in his car seat she noticed and again commented that he usually cries whenever she buckles him in the car seat- this time he did not cry. I had helped his body release the knots that were present in his inner thighs at his session- the knots which rubbed against the seat belt- which is the reason, most likely, caused the distress and crying. Since there was no longer any knots to cause pain, his seat belt wearing was now comfortable. I am certain now that there is no such thing as a 'fussy baby', 'colicky baby', or 'problem baby'. Babies cry for a reason- the reason is that they are in pain some where in their little bodies. And I also believe that myofascial release can more than likely resolve whatever is causing the crying and the pain. Listen to your baby- he, or she, is trying to tell you something and that something needs to be tended to.... so everyone can be happy & bliss !